*Currently licensed in Georgia only. Jamie is an associate attorney in the Raleigh, North Carolina office of Ogletree Deakins. She works with multinational clients to provide comprehensive business immigration representation on U.S. visa matters, covering the full spectrum of nonimmigrant and immigrant visa processing for their professional workforce, including new hires, the existing talent pool, and international intracompany transfers. She partners with clients to develop a keen understanding of their business, assesses and advises on the options available, identifies potential risks and gains, and provides recommendations on strategy that best align to her clients’ critical business needs while ensuring compliance with all applicable immigration regulations. Jamie’s immigration practice reflects a commitment to working directly with clients and effectively communicating with their employee workforces, whose positions range from professional entry-level individual contributors to senior-level managers. Throughout these interactions, Jamie partners with her clients to reach alignment on specific case strategy, clarify process and documentation requirements, and provide insight to the overarching process. Jamie enjoys providing targeted immigration training to various corporate audiences, including talent acquisition professionals, management and human resources, and foreign national employees. Further, she focuses on working with clients to identify opportunities for process improvement and increasing efficiency while maintaining high-quality output and results. 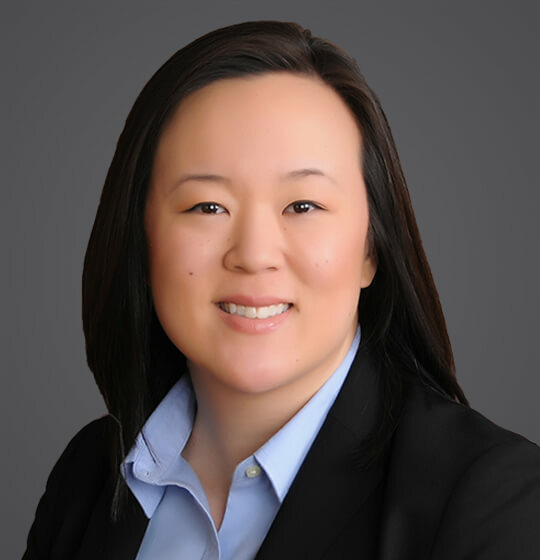 Jamie is admitted to practice law in Georgia, and is a member of the American Immigration Lawyers Association (AILA) and National Asian Pacific American Bar Association (NAPABA). She is a graduate of the Georgia Institute of Technology (B.S. in International Affairs and French) and obtained her law degree from Georgia State University. Working with multinational technology clients with a strong domestic footprint and various lines of business to secure and renew visas (H-1B, H-1B1, L-1, O-1, and TN, etc.) for their foreign national workforce, and evaluating visa options for new talent in the pipeline. Assessing and advising on green card processing strategies for candidates with varied credentials (PERM, EB-1 Outstanding Researcher, and EB-1 Multinational Manager, etc.). Preparing and delivering immigration trainings to stakeholders, including talent acquisition professionals, management and human resources, and foreign national employees. Identifying and implementing process improvements to drive efficiencies in high volume business immigration practices. Each month, foreign nationals await timely announcements from the U.S. Department of State’s (DOS) Visa Bulletin and U.S. Citizenship and Immigration Services (USCIS) to determine whether they are eligible to move forward with the last stage of their employment-based or family-sponsored permanent residence (“green card”) process. On May 3, 2017, United States Citizenship and Immigration Services (USCIS) announced that the data entry process for all H-1B cap petitions selected in the FY 2018 H-1B cap lottery had been completed. Employers and I-9 professionals should be aware that starting Monday, May 1, 2017, U.S. Citizenship and Immigration Services (USCIS) will begin issuing a redesigned Permanent Resident Card (also known as a “Green Card” or Form I-551) and Employment Authorization Document (EAD or Form I-766). While the updated Green Card and EAD will contain bolder imagery and a few enhanced safety and fraud deterrence features, the cards will continue to serve the same purpose for employers’ I-9 verification obligations. The United States Citizenship and Immigration Services (USCIS) has again revised its procedures for determining whether foreign national applicants waiting to file their employment-based or family-sponsored preference adjustment of status applications may proceed onto the last stage of the permanent residence (green card) process. This latest course correction reveals that USCIS is not fully aligned with the U.S. Department of State’s (DOS) recently reformatted Visa Bulletin. USCIS’s latest revisions to its procedures—announced on October 14, 2015—will result in delays for foreign nationals hoping to file their applications for adjustment of status. For some, the delays will only be for up to a week. Others, however, may again find themselves subject to longer delays associated with visa backlogs.